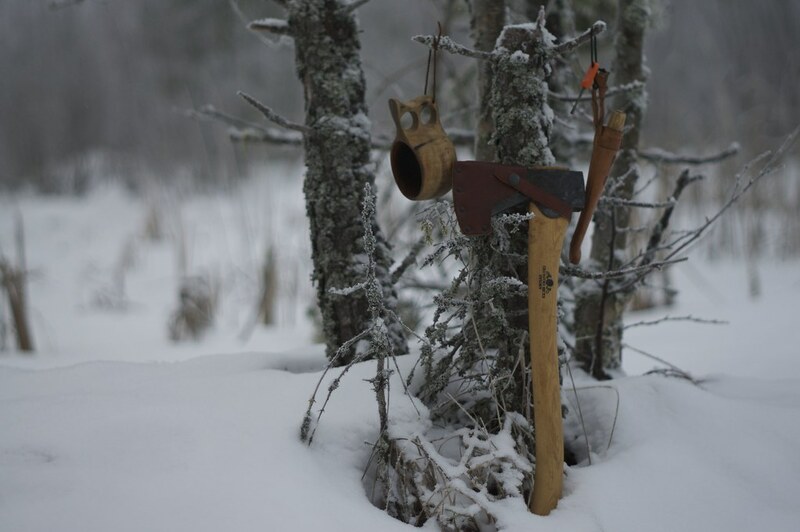 In December I was tagged by OZme to name my three favourite Bushcraft and/ or Camping items. 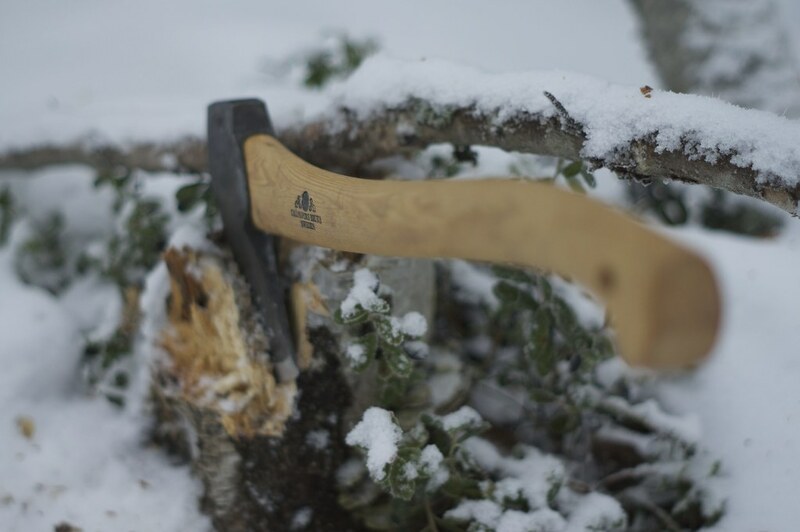 December was a bit busy, though I really like the idea of this so here is my slightly belated post on my three favourite Bushcraft items. Little stories, memories, and experiences of and with an item make it special, in my opinion. It are items which you take along on a trip because they mean something special to you, and it often does not matter that you have a lighter or more modern version of the item - this old one you take because of its nostalgic values. 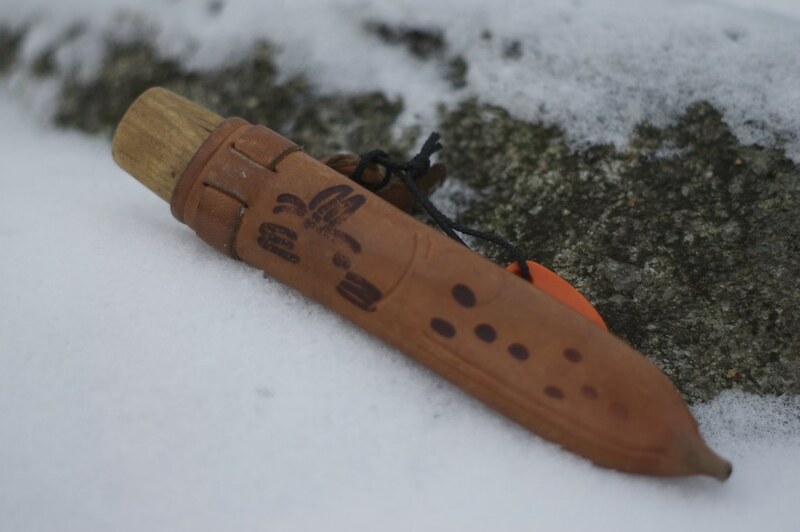 I picked three three Bushcraft items because Perkunas and OZme both are Bushcrafters, and I want to honour them by writing about bushcraft items. I don’t practice it as much as I’d like these days, and I still miss a nice spoon carving tool (or hook knife, as its called), though I read with interest Bushcraft books, as the Bushcrafters of old were the first Ultralight backpackers - a knapsack, knife, axe, tinderbox and a blanket was all what they needed to survive for weeks in the forests, gathering and hunting their food. Anyway, onwards to my three favourite items. 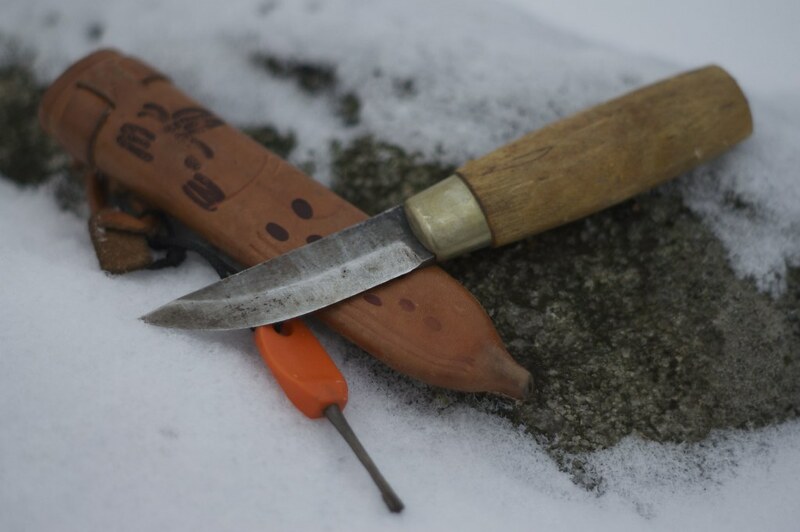 The knife which I take most often with me on a trip is my trusty puukko from Iisakki Järvenpää. It is special because I gave my dad for his birthday such a knife, and it remembers me of him when I’m outdoors and working with it. 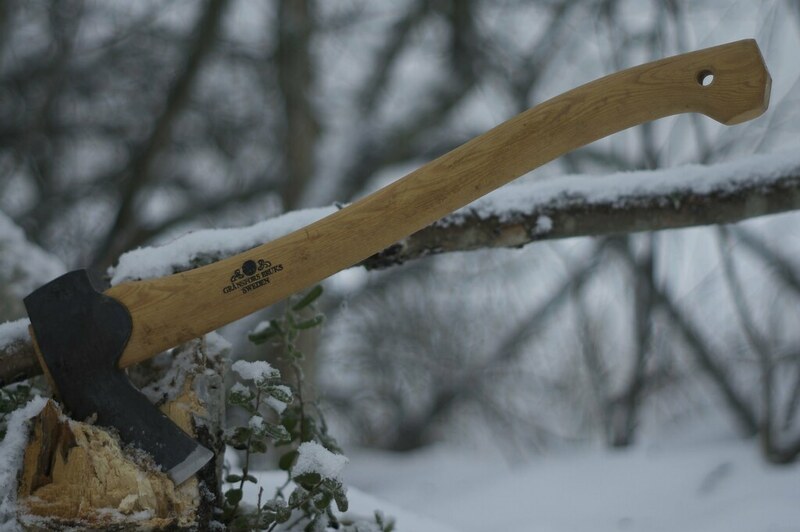 It can carve, split logs and make feather sticks, and also cuts food just fine. I’ve had mine since years, and while a bit rusty in places it still is in great shape - I’m sure it will see many more trips, where I need a dependable knife. 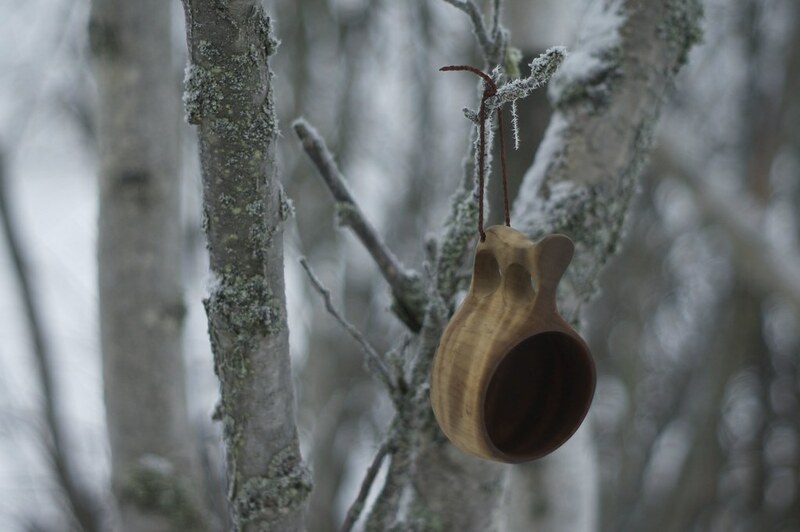 While on many trips I like to take my Kupilka Kuksa, on just as many trips I like to take my wooden kuksa. It was a present from my parents in law, and thus holds a special place. I baptized it as it is tradition with cognac and coffee, and only rinse it with water and dry it with a cloth. It has a wonderful patina on the inside, and I still regard it as a mandatory item to take along on trips, however long or short they may be. While I cut a piece of flesh from my index finger I still managed to carve my cutlery, and pass the exam. 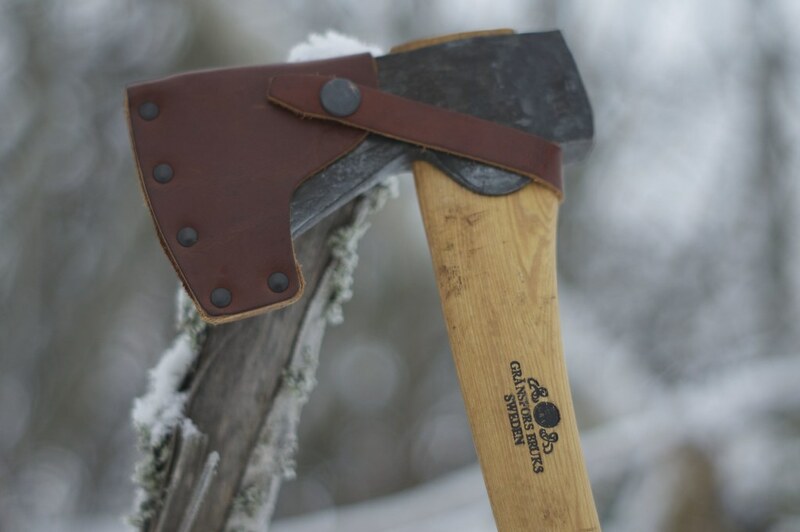 But I forver will remember to take away my hands where sharp axes are falling down! 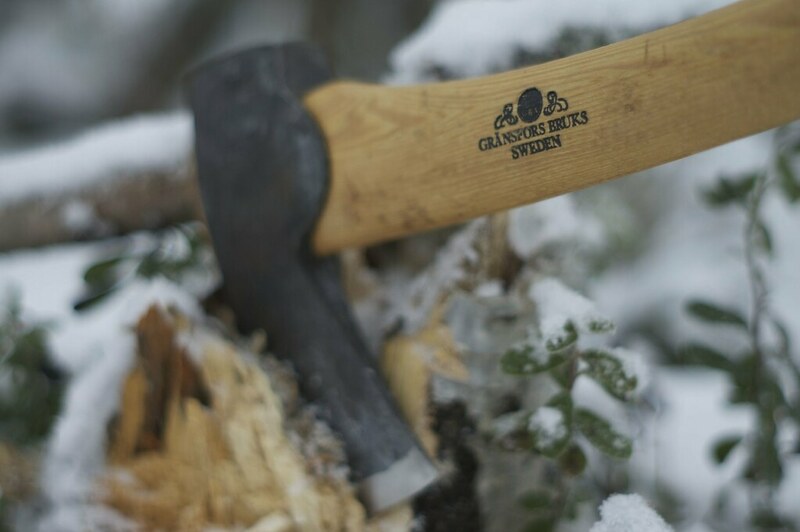 My Small Forest Axe is a very useful tool to take along on a trip - chop down trees for fire wood or shelter building, split logs, and even the carving of tent pegs is no problem for this versatile tool. These are my three favourite Bushcraft items. But it does not stop here - being tagged means that I am now also allowed to tag other Bloggers! So I’m tagging Brian Green because I know he’s a Gear Nerd and I am very curious to read what are his three favourite Bushcraft or Camping items. Secondly I’m tagging Axel of Outdoorseite.de because we had a good time at Lago d’Idro and I’m curious to see what are his favourite items.